Joe was born in Shelton, Washington on January 15th, 1928 to Agnes Mary (Buffington) Wilson and Jesse David Wilson. Joe is preceded in death by his parents, his brothers Jesse Wilson, Arthur Wilson, and sisters Grace (Wilson) Reeves, Louella (Wilson) McBride and Loretta (Wilson) Evans, his wife Janet (Laub) Wilson, son Johnnie Wilson and granddaughter Rachelle Wilson. Joe is survived by his sister Helen (Raymond) Dennis of Boise and his brother Gary (Debra) Wilson of Nampa, sons Joseph Wilson Jr. (Montain) of Colorado Springs, John’s wife Louetta of Boise, Idaho, Jesse Wilson (Diane) and Jered Wilson (Barbara) both of Ola, Idaho and numerous grandchildren, great-grandchildren and super-great-grandchildren. Joe grew up in the Homedale area and went to school and played basketball in Homedale, Idaho. After school Joe went to cascade, Idaho to work for on the railroad. He met and married young Fanny Lehner. The marriage was short and annulled when Joe joined the Navy. 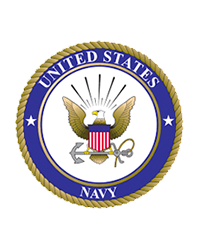 Seaman Wilson served in the Navy during World War II from October 31, 1945 until October 26, 1947 beginning in the US Naval Receiving Station San Diego, California. By July 1946 he was with the pacific fleet sailing on the LST Gunston Hall (LSD-5) and then the USS Dixie (AD-14) during Operation Crossroads at the Bikini Atomic Bomb Tests (Able and Baker) at the Bikini Atoll before returning to San Diego, California. His next station was at Pearl Harbor, where he joined the boxing team. He realized the health risks of boxing and quit the boxing team. Soon he was aboard the USS Southerland (DD-743) setting sail for the Far East, arriving at Shanghai, China in November 1946, operating out of Tsingtao along the China coast before being returned to the naval hospital in San Diego, California for an operation on his injured left leg. 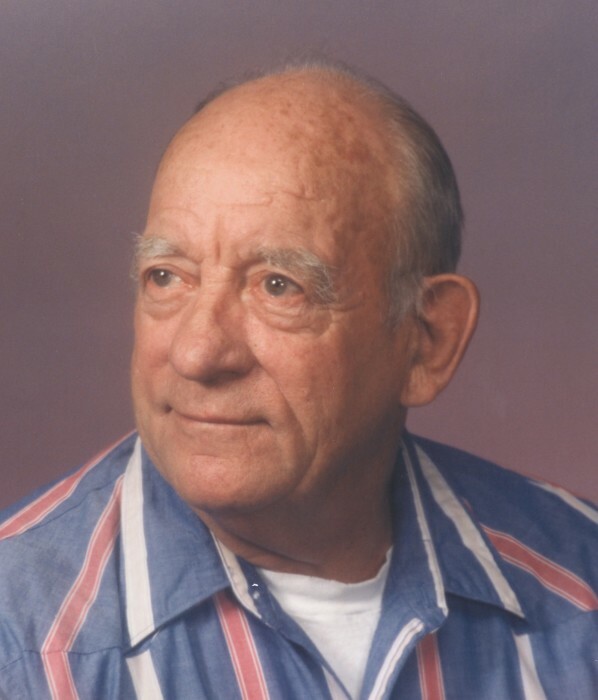 He was discharged from the Navy in October 1947 as a Seaman Apprentice (Carpenter Striker) and was awarded the Asiatic Pacific Campaign Medal; The American Campaign Medal; and the World War II Victory Medal. When Joe returned home from the Navy the family had moved to Owyhee Heights just west of Homedale, Idaho. Joe, now 19, met young Janet Laub whose family had recently moved from Ridgeview, Idaho to Homedale. Everyone started calling her “JJ’s Doll” at age 13. It wasn’t long before he joined the migrant workforce and teamed with the Laub family headed to Arco, Idaho to pick potatoes. Joe had this 1937 Chevy and asked Janet to ride with him to Arco. After they had been in Arco about a month they decided to get hitched, and were married on October 18, 1948. He was 20 and she was 14, their first home was a surplus army tent in Darlington, Idaho. They moved back to Homedale after the winter of 1948. Soon moved to a tenant house on the Wilson farm where Joe helped with the farming. I came along in August 1949, and then mom had a miscarriage. Next came Jesse in 1951, John in 1952, followed by Jered in 1953. As a family we grew up in and around migrant labor crews and dad became a crew boss. We worked the field picking fruit, potatoes, apples, peas, cherries and strawberries. Dad taught me to drive at a young age behind the wheel of a spud truck. He used to pick up a 100 lb. sack of spuds in each hand an hoist them over his head to the bed of the truck. We moved from Homedale to a 40 acre farm in Fargo (near Wilder) where dad became a farmer. He stepped into a post hole and was taken by ambulance to the VA hospital in Boise, where they ended up fusing his left knee. Dad spent quite a bit of time in rehabilitation at the VA, so we moved from Fargo to Boise to be with him. Dad wasn’t one to let his disability become a handicap. He worked at various odd jobs, janitorial, manufacturing and even as a mail carrier with the post office until being medically retired. He became an ordained minister with the Church of God and pastored many different small churches across southern Idaho and Eastern Oregon. Then retired from pastoring a church of conducting home church services for family. Then we worked part-time selling lawn mowers from the back yard. He always planted a garden and raised vegetables and berries that everyone loved. Dad loved to fish, so he and mom spent lots of time at a lake or stream. I think much of it was simply that they just loved being together. Mom was his world, and he was hers until 3 years ago when the angels came and carried her away. Dad was devastated. He always talked about being ready to go and seemed a bit impatient to have to wait. Not long after mom passed, dad moved from home care with Jered and Barbara going into the Idaho State Veterans Home in Boise. In many ways it was best for dad and for Jerry and Barbara. Dad required 24/7 nursing care and staff and equipment to transfer him from bed to chair. At least for the past 2 years he was basically chair bound and he longed for going home, to be with mom. On February 9th, 2019 at approximately 9:10 p.m. dad got his wish and joined mom in Heaven with Jesus. Although we miss him dearly, we know that he is in a better place and can feel none of the pain he endured for so long. A funeral service will be held at 12:00 pm noon, on Friday February 22, 2019 at Bowman Funeral Parlor, 10254 W. Carlton Bay Dr. in Garden City, with visitation beginning at 11:00 am. Burial will follow at Dry Creek Cemetery in Boise.